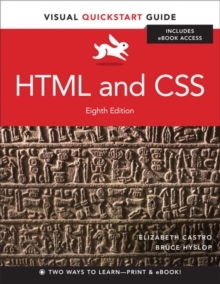 Almost overnight, EPUB has become the favored standard for displaying digital text on ereaders. 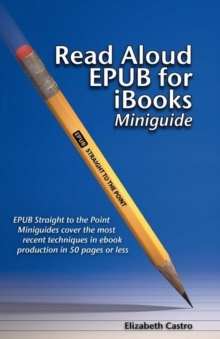 The EPUB specification is a powerful method for creating gorgeous ebooks for EPUB-capable readers such as the iPad, Nook, and Kindle. Alas, it is far from perfect, with frustrating limitations, sketchy documentation, and incomplete creation tools. 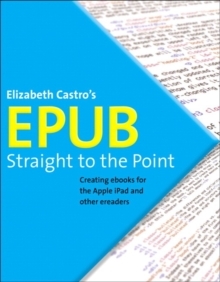 This extensively researched guide to creating EPUB files by best-selling author Elizabeth Castro shows you how to prepare EPUB files, make the files look great on the screen, work around EPUB weaknesses, and fix common errors. 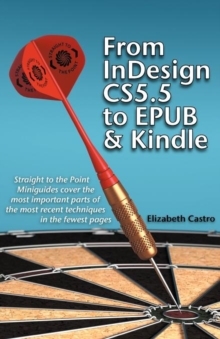 In this essential book, Liz shares her hard-earned experience for how to: Create EPUB files from existing Microsoft Word or Adobe InDesign files, or from scratch. Control spacing, indents, and margins. Insert images and sidebars and wrap text around them.